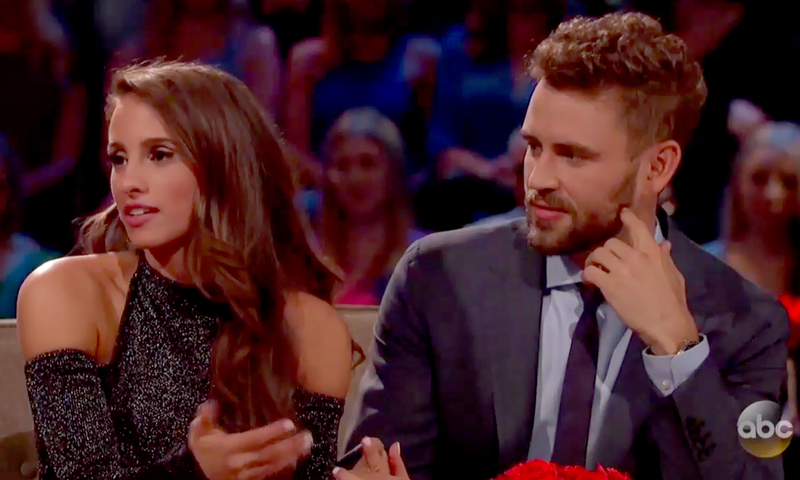 Did the chill in Finland follow Nick Viall and fiancée Vanessa Grimaldi back to the U.S.? Her solution: for Viall to remind himself of his good-natured background. “He’s really going to have to hone into those Midwestern roots because it’s going to be crazy for him,” she said. Still, Viall, 36, and Grimaldi, 29, are aware that their journey ahead has its bumps. For more from Killoren Bensimon — on Viall as a reality star, her thoughts on runner-up Raven Gates and why standout Corinne Olympios should get a spinoff — watch the full Facebook Live video above! And pick up Killeen Bensimon’s book, A Dangerous Age, on shelves now!